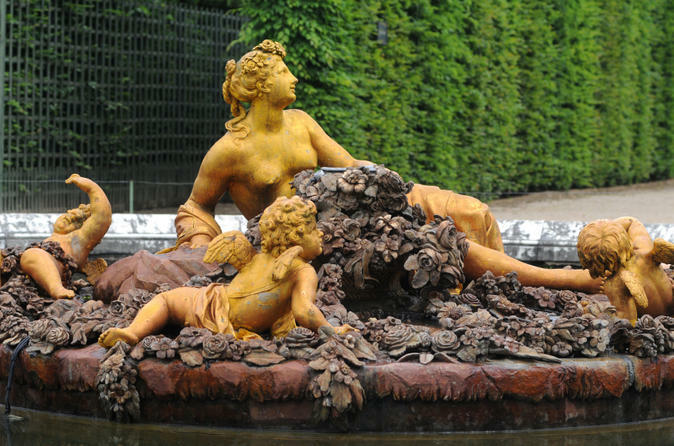 Experience the grandeur of Versailles Palace and Gardens on a small-group tour from either Paris or Versailles (the choice is yours)! Enjoy skip-the-line access, and then explore the palace and gardens in a small group of no more than 20 people. There is a certain magic that fizzes through the air at the Palace of Versailles. Hidden away from the modern world, this majestic European castle on the outskirts of Paris is a perfectly preserved example of the reckless extravagance of the French monarchy. 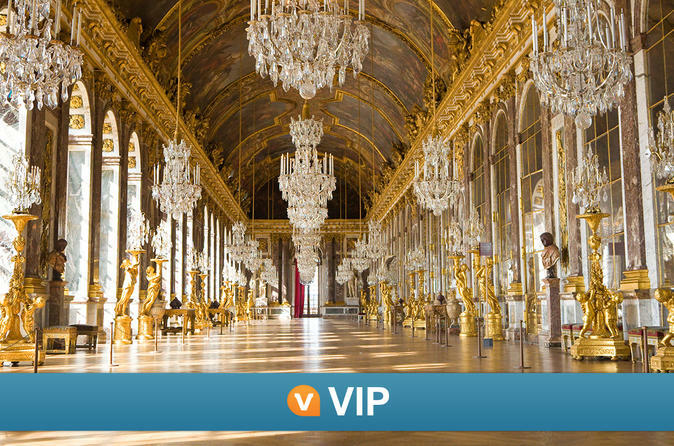 See the Palace of Versailles (Château de Versailles) as French kings once did – with this small-group tour that includes a once-in-a-lifetime private viewing of the palace’s Royal Quarters. This exclusive tour gives you priority entrance to Versailles through a reserved door and provides you with unprecedented access to magnificent private rooms – such as Louis XVI’s library – which are normally off-limits to the general public, allowing you to see a side of the UNESCO World-Heritage-listed Palace of Versailles that most never will. 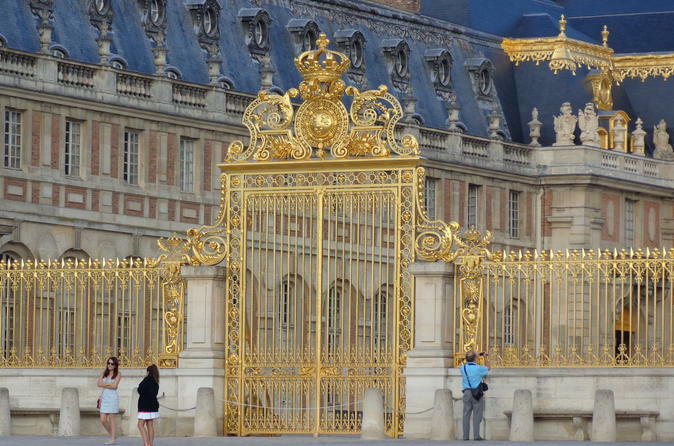 See the highlights of Versailles in one day on this comprehensive trip from Paris. After traveling to the town by luxury minibus, skip past the entrance lines with your priority-access ticket and then head inside the UNESCO World Heritage-listed Palace of Versailles. 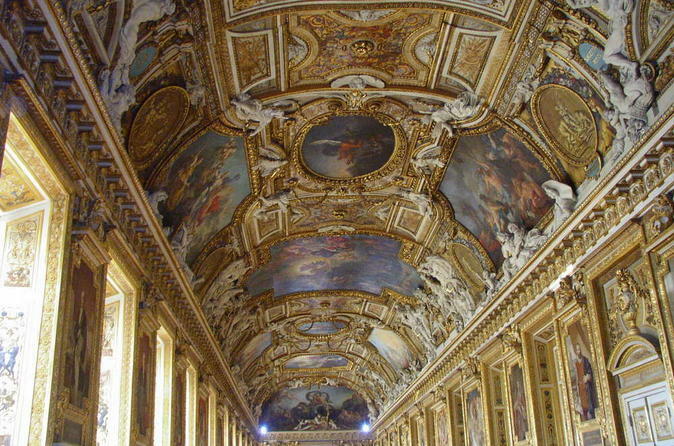 Tour the State Apartments, seeing the incredible Hall of Mirrors, and then explore Versailles Gardens at leisure. Enjoy a 3-course restaurant lunch by the Grand Canal and visit the Grand Trianon and the Queen’s Hamlet. Explore the UNESCO World Heritage-listed Palace of Versailles and Gardens of Versailles on a half-day tour. 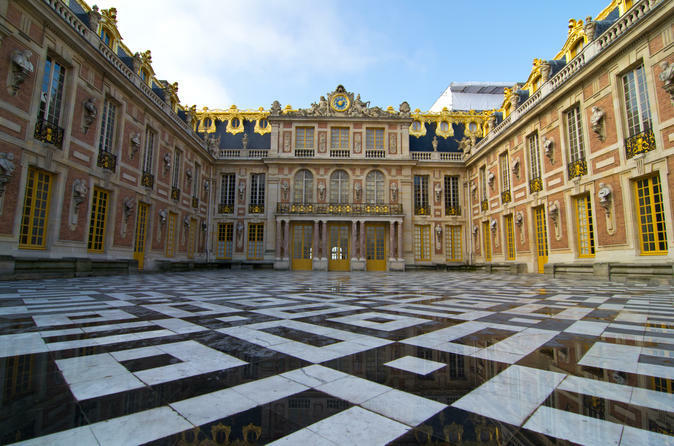 Your expert guide will bring French history back to life as you walk through the Palace of Versailles, where King Louis XIV officially settled his court and government in 1682. Soak in the palace’s Baroque architecture, admire the rooms full of art and see how some of the most infamous members of nobility really lived. Plus, avoid the long entry lines with this skip-the-line ticket! 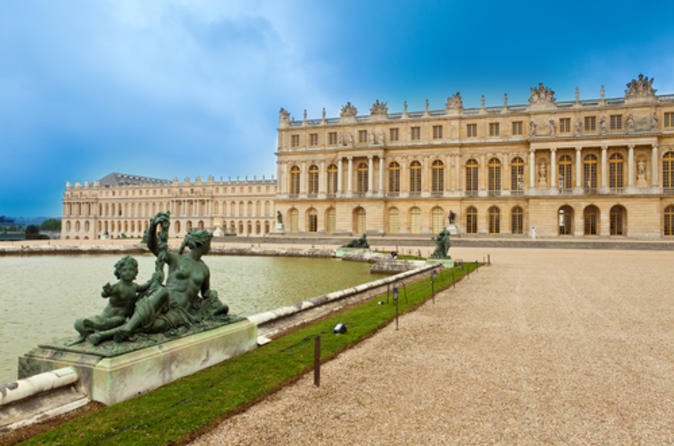 Explore the UNESCO World Heritage-listed Palace of Versailles (Chateau de Versailles) and the Versailles Gardens (Jardins de Versailles) on a full-day tour. As you wander through the Versailles Gardens, your expert guide will bring French history back to life and also explain the stories behind Marie Antoinette's Estate. If you happen to be there on a Sunday, take the opportunity to watch the amazing fountain show in the gardens. For a more personalized experience, upgrade your standard tour to a small-group tour with a maximum of 10 people, ensuring a more personalized experience. 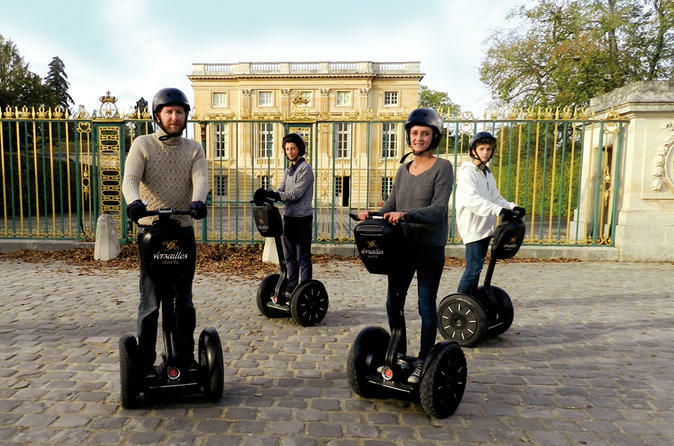 A fun and easy way to experience Versailles, this Segway tour takes you through the amazing Versailles Park on a 2-hour or 3-hour narrated tour. Ride along the Grand Canal and past the Grand Trianon, Petit Trianon and Queen’s Hamlet, pausing for a fabulous view of the magnificent Palace of Versailles. On the 3-hour tour, you’ll also explore some of the city of Versailles itself. It’s a fun and easy way to experience UNESCO World Heritage-listed Versailles Park (Parc du Château de Versailles) — all while enjoying informative commentary from your guide. Numbers are limited to 14 people on this small-group Segway tour, ensuring you’ll enjoy a more personalized experience. 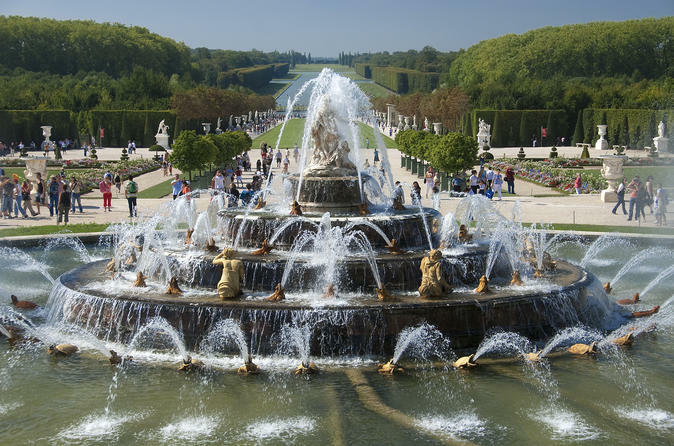 Spend your day at the enchanting Gardens of Versailles and enjoy the must-see Versailles fountain shows. Noted in the UNESCO World Heritage list, these fairytale-like French gardens are impressive to behold. 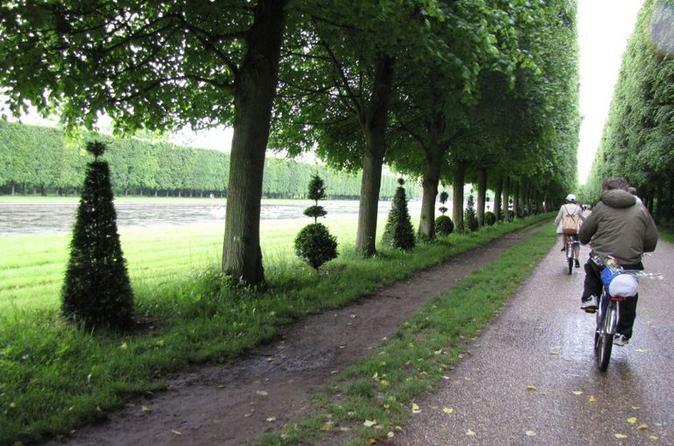 Your independent ticket to the Gardens of Versailles offers you a full day of sightseeing at the grand estate. Listen to the Baroque music, explore the secluded groves -which are exceptionally opened during the Musical Fountains- watch the fountain show in the morning or afternoon (or both!) and stroll around the graceful gardens under the sun as you immerse yourself in rich French history. 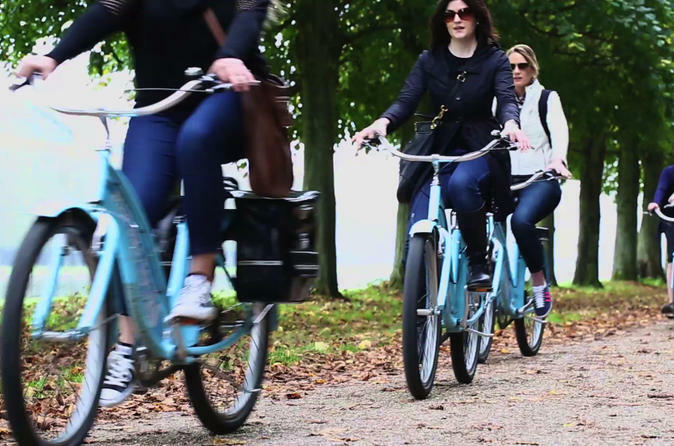 The Palace of Versailles Bike Tour: Skip-the-Line is the perfect way to discover the grandeur of this 2,000acre Royal Domain!